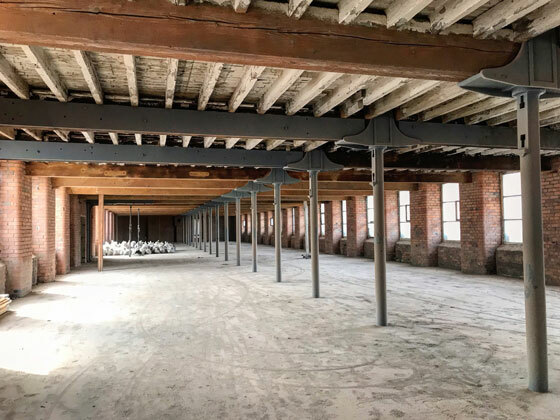 shedkm are working closely with Capital & Centric (client) and Artez (main contractor) to renovate the existing grade II listed mills into 123 lifestyle apartments. 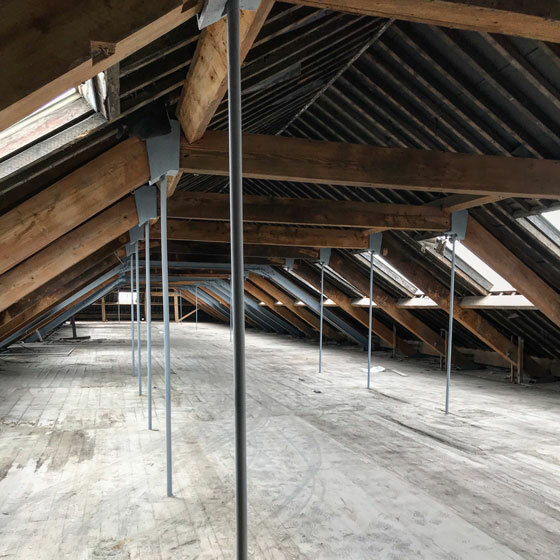 The original brickwork, cast iron columns and timber beams have recently been sand-blasted revealing layers of history dating from the mid 19th century. Piling for the new circulation cores within the courtyard is complete with structural repairs and new works to the roof commencing imminently. Crusader Works began on site in March this year with completion estimated at the end of 2019.